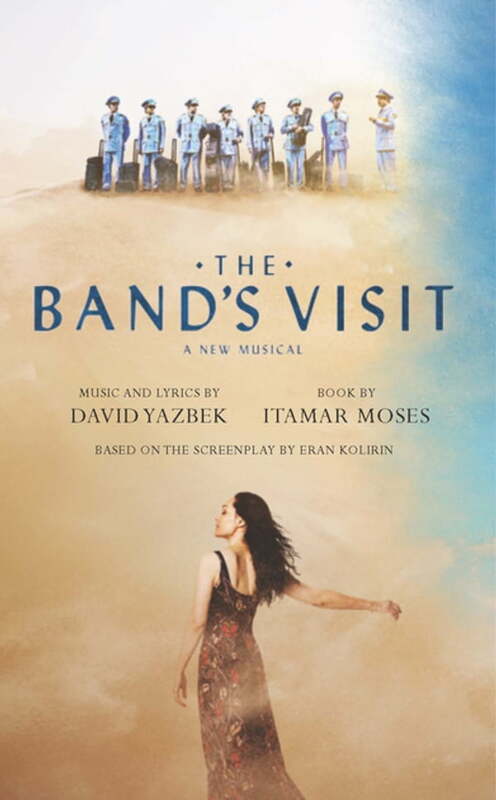 The Band's Visit (Kobo eBook) | The Drama Book Shop, Inc.
After a mix-up at the border, Egypt’s Alexandria Ceremonial Police Orchestra, bound for the cosmopolitan Israeli city Petah Tikvah, is stranded in a small desert town. With no transportation until the next day, the band is taken in by the locals. By morning, the lives of visitors and hosts are forever altered. Itamar Moses and David Yazbek’s stunning musical adaptation of the 2007 acclaimed film finds transcendence in the surprising and tender relationships that are forged between strangers under the desert sky.